There’s an Uber for pet-sitters (Rover). There’s an Uber for dog walkers (Wag). There’s an Uber for private jets (JetMe). There are several Ubers for alcohol (Minibar, Saucey, Drizly, Thirstie). 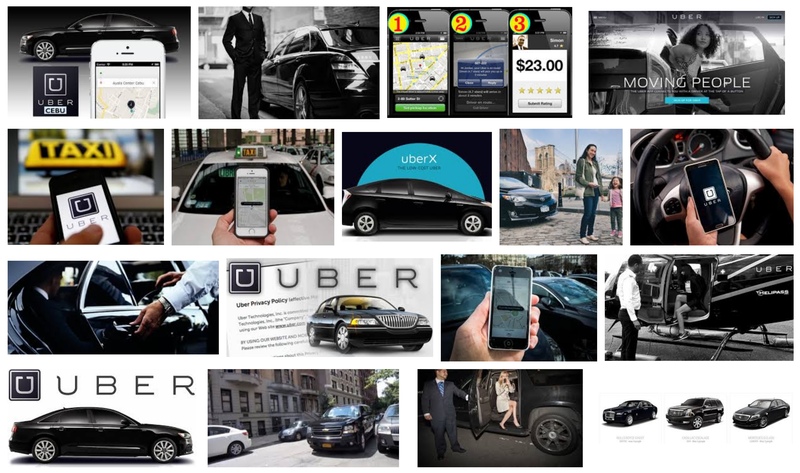 In fact, enter the keywords “Uber for…” into Google and the search engine will return “Uber for kids, Uber for icecream, Uber for news, Uber for seniors, Uber for trucks, Uber for haircuts, Uber for iPads (? ), Uber for food, Uber for undertakers (?? )…” and thousands of other results. The list of Uber-like copycats, startups and ideas is seemingly endless — a sign, without doubt, that we have indeed reached peak-Uber. Perhaps VCs in the valley should move on to some more meaningful investments, before the Uber bubble bursts. “Uber for X” has been the headline of more than four hundred news articles. Thousands of would-be entrepreneurs used the phrase to describe their companies in their pitch decks. On one site alone—AngelList, where startups can court angel investors and employees—526 companies included “Uber for” in their listings. As a judge for various emerging technology startup competitions, I saw “Uber for” so many times that at some point, I developed perceptual blindness. “We’re going to be the Uber for news,” the news exec told me. Confused, I asked what, exactly, he meant by that. “Is it an app?” I asked, trying to understand. “Maybe. The point is that you get the news right away, when you want it, wherever you are,” the exec said. The mass “Uber for X” excitement is a good example of what happens when we don’t stop to investigate a trend, asking difficult questions and challenging our cherished beliefs. We need to first understand what, exactly, Uber is and what led to entrepreneurs coining that catchphrase. I read and increasing number of articles like the one excerpted below, which cause me to sigh with exasperation yet again. Is Silicon Valley — that supposed beacon of global innovation — in danger of becoming a drainage ditch of regurgitated sameness, of me-too banality? It’s frustrating to watch many of our self-proclaimed brightest tech minds re-package colorful “new” solutions to our local trivialities, yet again, and over and over. So, here we are, celebrating the arrival of the “next big thing”; the next tech unicorn with a valuation above $1 billion, which proposes to upend and improve all our lives, yet again. DoorDash. Seamless. Deliveroo. HelloFresh. HomeChef. SpoonRocket. Sprig. GrubHub. Instacart. These are all great examples of too much money chasing too few truly original ideas. I hope you’ll agree: a cool compound name is a cool compound name, but it certainly does not for innovation make. By the way, whatever happened to WebVan? Where are my slippers? Yawn. Founded in 2013, DoorDash is a food delivery service. It’s also the latest startup to be eying a valuation of more than $1 billion. DoorDash already raised $40 million in March; according to Bloomberg, it may soon reap another round of funding that would put the company in the same lofty territory as Uber, Airbnb, and more than 100 other so-called unicorns. Not that DoorDash is doing anything terribly original. Startups bringing food to your door are everywhere. There’s Instacart, which wants to shop for groceries for you. Deliveroo and Postmastes, like DoorDash, are looking to overtake Seamless as the way we get takeout at home. Munchery, SpoonRocket, and Sprig offer pre-made meals. Blue Apron, Gobble, HelloFresh, and HomeChef deliver ingredients to make the food ourselves. For the moment, investors are giddily rushing to subsidize this race to our doors. But skeptics say that the payout those investors are banking on might never come. Even in a crowded field, funding for these delivery startups continues to grow. CB Insights, a research group that tracks startup investments, said this summer that the sector was “starting to get a little crowded.” Last year, venture-backed food delivery startups based in the US reaped more than $1 billion in equity funding; during first half of this year, they pulled in $750 million more, CB Insights found.